Obsessively engineered to provide the best water for your home. 96% Reduction of harmful contaminants including lead, mercury, asbestos, pesticides, pharmaceuticals, chlorine and chloramines. Instant hydration At the touch of a button. One gallon Larger dispenser for plenty of water. Professional filtration 10x stronger and 8x longer lasting than leading pitchers. Power activated Forces water through ultra-dense carbon. 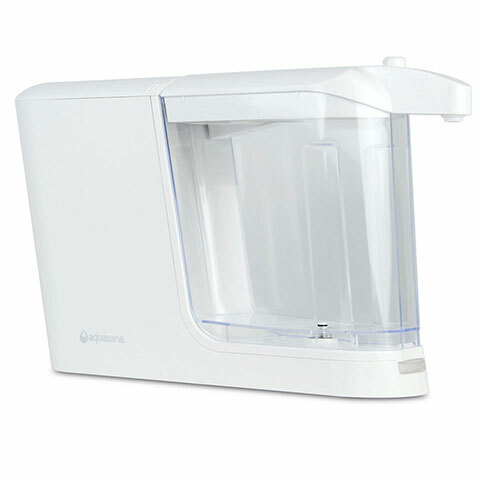 Aquasana Clean Water Machine with Pitcher - White is rated 4.1 out of 5 by 584. Instantly transform ordinary tap water into clean, extraordinary water. Professional grade filtration removes 99% of lead and asbestos, as well as 96% of chlorine, chloramines and 73 other harmful contaminants. These systems AQ-CWM-D-B AQ-CWM-D-W AQ-CWM-P-B AQ-CWM-P-W NSF Certified to Standards 42, 53, 401 + P473 for claims specified on the Performance Data Sheet. Naturally occurring minerals in your water like Calcium, Potassium and Magnesium are retained by our selective Claryum filtration, leaving you with healthier, delicious water! Traditional pitchers use gravity to slowly trickle water over filter granules. The Clean Water Machine joins Aquasana Claryum® filtration technology with power to filter water fast, right before your eyes. Catalytic Carbon Targets chlorine and chloramines. Ion-Exchange Filters heavy metals like lead and mercury. Absolute Sub-Micron Mechanical Filtration Captures asbestos and chlorine resistant cysts like cryptosporidium and giardia. The result: 10x more contaminants reduced than the leading pitcher plus healthy minerals retained for purely delicious filtered water. The system features a slim profile to maximize counter space. The 16-cup dispenser provides on-demand filtered water at the touch of a button. The slender 8-cup (1/2 gallon) pitcher easily fits in your fridge door. Fewer filter replacements. More clean, great-tasting water. One Aquasana Claryum® filter gives you 8x the capacity of the leading gravity-based pitcher at only 9.4¢ per gallon with Water for Life. Lasts 3 months or 320 gallons (whichever comes first)! Traditional pitchers use gravity to slowly trickle water over filter granules. Aquasana's Claryum® technology uses power to filter water fast, right before your eyes. Click the icons to discover how the system works. Reduces pharmaceuticals, herbicides, pesticides, VOCs and MTBE. Filters heavy metals like lead and mercury. Captures asbestos and chlorine resistant cysts like cryptosporidium and giardia. Unfiltered water can contain chemicals and contaminants such as lead, mercury, asbestos, chlorine, chloramines, herbicides, pesticides, cysts and more. 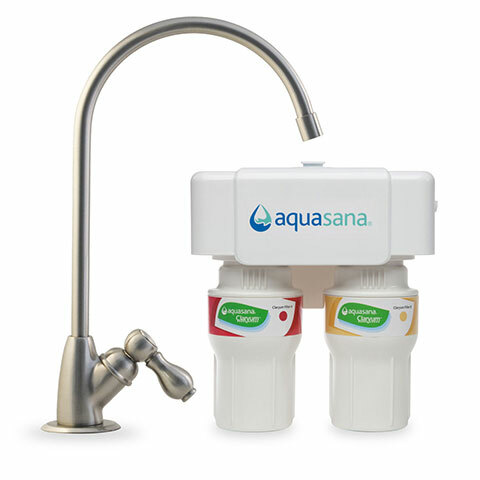 Aquasana's powered filtration uses pressure to quickly force unfiltered water through an ultra-dense, smart filter block. The result - more contaminants reduced plus healthy minerals retained for purely delicious filtered water in just seconds. Rated 5 out of 5 by bbinmbsc from Can’t live without this! We’ve had our Aquasana countertop dispenser for 5+ years and couldn’t be without it. Yes, it’s noisy, but so what? I know it’s working! Yes, we’ve had a few leaks over the years, but that’s user error. It needs to be seated properly. It sits right next to our sink for easy filling. We use the water for everything; Keurig coffee; cooking and drinking. It’s the only water filtering system that gets rid of that horrible chlorine taste and we get a lot of that here in Myrtle Beach, especially in the summer! Just think of the thousands of water bottles we’ve eliminated in the landfill! Don’t hesitate to try it. If you have a problem, the company will help. It’s safe, convenient and provides great tasting water. For the price, it’s the best, more economical way to eliminate those disgusting plastic water bottles. Rated 5 out of 5 by B0079 from Fastastic! Aquasana is the best water sytem there is and is a Keeper forver! Rated 5 out of 5 by Uncle lou from Impressed with the quality Filter performs very well, water tastes very good. Rated 5 out of 5 by Kenneth53 from Excellent Water Filtering Machine I like the fact that it removes many contaminants which would be harmful to our bodies and the water tastes more like water rather than tasting like a swimming pool. Rated 5 out of 5 by Henryhome from My favorite kitchen appliance. So easy to use and the water tastes great. Use it for making coffee, brewing tea for kombucha, and feeding my sourdough starter. I don’t have to worry about chlorine killing off the good bacteria. It is noisy when in use but love is blind. I have had mine for 3+years. Rated 5 out of 5 by The water only gal. from Excellent The water tastes delicious. It is easy to use. I am very happy I made this purchase. Rated 5 out of 5 by KW21 from Feedback on Clean water machine Very easy to set-up, change filter, operate etc. Fits easily on my counter next to fridge and does not take up much space. Rated 5 out of 5 by CGiuliani from Best pitcher on the market! 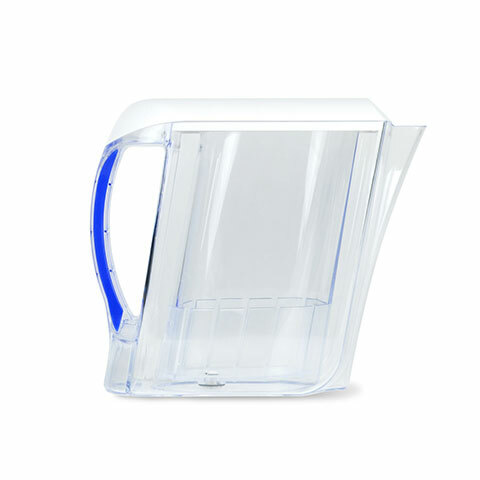 I did a lot of research before purchasing this power filtered pitcher and it paid off. Great tasting water, fast filtration, and easy to change filters! It makes coffee taste sooo much better! I also use it for cooking, hand washing delicates and of course my fur baby. Love everything about it! I also can't live without the shower filter either. Rated 5 out of 5 by Sonya Platt from Fantastic product We love love love this product. We were looking for an efficient filtration system for our rv but yet could still use at home. I highly recommend this product to my rv groups too. Rated 5 out of 5 by MelJo from Love it! This is my second Aquasana Clean Water Machine. Roommate had one before I moved. Now I have one of my own! Rated 5 out of 5 by CharInCal from Love the efficiency of this products but the leaki This product does everything the company says it will do. I swear by it. My only issue is it leaks. I don’t know why or how to fix it. I will buy another one as I’ve had mine for approximately 5 years and would like to get more use out of it. Rated 5 out of 5 by Conebone from Great machine, but leaks. Makes very clean water, but leaks and makes a mess in counter top. Does anyone know how to fix the leaking? Rated 5 out of 5 by The Newlyweds from Happy customer! We love our machine...but have gotten use to the sound. The water tastes so much better!! I was a bit disappointed when the filter didn't last anywhere near 320 gallons but that's because filter was putting in overtime! Rated 5 out of 5 by Disaster Street from My Parents Swear By It Bought this as a gift for my parents who complained about the taste of their tap water. We purchased an Aquasana under-counter system five years ago that has been working great for us, so we returned here to see if we could solve their problem. My parents didn't want anything built into their sink and they didn't want an unsightly faucet attachment, so we decided to try this as a Christmas gift. They absolutely love it and use it daily. Five months in now with no issues. Rated 5 out of 5 by NAB64 from My Aquasana review Great little machine and it was extremely easy to set up. Filters water quickly and we haven't seen any charcoal floating in our water Like we see with the brita. Rated 5 out of 5 by Scottie from Clean Water Machine I can't say enough about the quality of the water and the ease of using this wonderful product. The water taste clean, never knew water could taste this good. I do feel confident that I'm drinking clean water and I enjoy seeing how the water is filtered into the carafe. Rated 5 out of 5 by BuzzR from A Must Have Device..Love it! Well worth the money. Very simple design. Small footprint. I have lowerd the cost tremendously since purchase of buying bottled water. Still purchase it to grab a bottle on way to gym. Have not joined the filter program yet because wanting to see just how long they (filters) will last me first. I'm only person in household. Water out of faucet smells like a bottle of bleach. This device takes care of that, no problem and what ever else leaks into city water system before reaching my apartment. Highly recommend. Tried other similar filtration products. To costly to maintain. Love it! Rated 5 out of 5 by Andi S. from Love this water dispenser! I'm using the Water Dispenser at my skin care studio. It's easy to use, clients love it. Easy for me to fill and keep clean. The taste of the water is great and the "noise" some reviews have complained about isn't very bothersome at all. Rated 5 out of 5 by Brat Boy from Finally Fresh Water we never had better tasting water. we had used a Brita filter before . we tried the Aquasana based upon online reviews. we were not disappointed. My only complaint is the pitcher should be larger. and is somewhat awkward. The noise while it is filtering was a concern but it only takes a few moments to filter a pitcher. Rated 5 out of 5 by Jethro Bodine from Just what I was looking for ... Due to my particular plumbing circumstances, including a well, I was in need of a water pitcher type filter. I simply wanted one that would remove lots of bad stuff but keep the minerals that are good for us. After searching all of the gravity fed water pitcher filters, I arrived at the conclusion that such a pitcher does not appear to exist. The best ones remove the good minerals too and claim that as a victory. The Aquasana clean water machine never appeared in any of my searches. Luckily, I finally happened upon it, and read about all of the bad stuff it will remove from my water. The filters will filter 300 gallons and they only cost 25 bucks to replace. So, I bought one and I am perfectly happy with it. Great Machine! Rated 5 out of 5 by anni from Love Aquasana! Love Aquasana! Hope the dispensers you promised for my BOGO Clean Water Machine (past order) arrive soon. Can't wait to give one machine to my daughter!! Rated 5 out of 5 by Emtrow from Super fast & tastes great! I have had my pitcher for almost a month and love it! It filters in seconds & tastes great. I was skeptical on the taste because we have well water but it did a great job! Rated 5 out of 5 by DJLFAIRPORT from Great Tasting Water! Purchased this over a year ago and it was very simple to set up....unbox it, put the filter in, plug it in, fill the pitcher with tap water and place on the unit. In just a few minutes, you have filtered water that tastes great! When it's time for a filter change, the blue light changes to red. It takes about two minutes to change the filter and you'll be amazed what the used filter looks like! All the stuff that you didn't have to drink. Amazing product and well worth the price! Highly recommend! Rated 5 out of 5 by Nell from Awesome Love this machine, no maintenance other than to change filter which is very easy to do, used to buy bottled water to drink, but after drinking the water filtered through the Aquasana there is a huge taste difference, won't ever part with my Aquasana! Rated 5 out of 5 by PURITY from FILTER CARTRAGE THE FIRST FILTER I SENT BACK AS IT WAS MADE 1 EIGHTH OF AN INCH TOO LONG AND AND WOULD NOT CLOSE. Rated 5 out of 5 by Smokeypurple from Love!! This is the best machine yet!! I absolutely love it and the water filtered through it!! Rated 5 out of 5 by Pumpkin from Great product I've been using the water pitcher with the dispenser for about 3 weeks and I love it. The water is so good I'm drinking more than I did before I purchased the system. Rated 5 out of 5 by suprsue from REMOVES ALL CHLOROMINE TASTE! I live in Florida and the public tap water in Cape Coral tastes awful.. After much research, and trying a Brita water pitcher (which helped some, but still left a taste in the water), I purchased the Aquasana Clean Water Pitcher. This claims to remove 96% of chloromine (chlorine & ammonia), which is what is used in purifying Florida's public water. I must say, it definitely seems to work. The bad taste is gone, nothing but a clean, pure tasting water is the result. I still pour this product into my Brita pitcher, as it holds more, and I figure an additional filter can't hurt. Plus, why throw out a perfectly good water pitcher which I paid $30 for? Now the Aquasana is advertised for $129.00, (a little pricey, I think) but it does work. I called them to inquire about their product and they did give me $20 off, (still pricey) but I signed up for the filters for life program, locking in at about $25 a filter which they will send every 3 to 6 months, depending on usage. This includes a lifetime warranty for free replacement parts, you have to pay shipping. 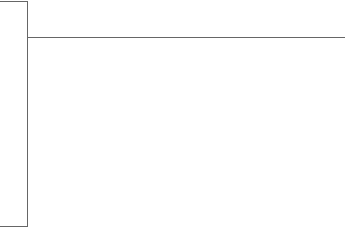 Also, the filter price locks in where it is, and will never increase. There are two downsides to this product. It has a very noisy motor, and because of its dual compartment system, does not hold a lot of water, the main reason I kept the Brita (extra water storage). All-in-all, Aquasan beats every water filtration system I have tried (for efficacy), including in-line under the counter systems. If you like clean tasting water and want to feel better about what you are putting into your body, this is the type of filter company you want. They also have under the sink and whole house systems as well. Enjoy! Bought motorized countertop water filter should the bottom light be red or does that mean something needs to be adjusted? Does this filter out sodium? Does the counter top pitcher filter out fluoride? Can the same base unit be used with both a dispenser and a pitcher (one at a time)? How can I buy a replacement for a broken pitcher? Are the dispenser and pitcher interchangeable? Thank you! How much are the filters? Does this filtration system remove fluoride? 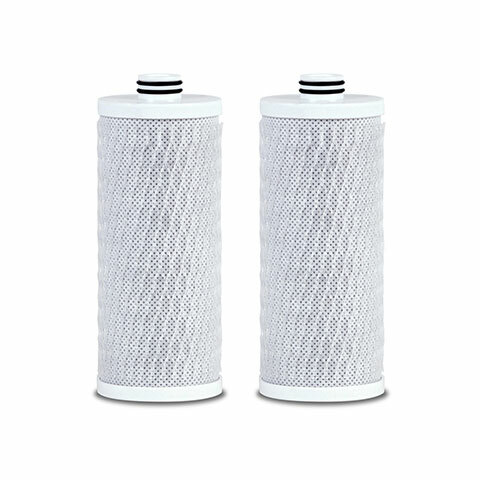 * Filter does not remove all contaminants. Please see Performance Data Sheet for a comprehensive list of contaminants removed.